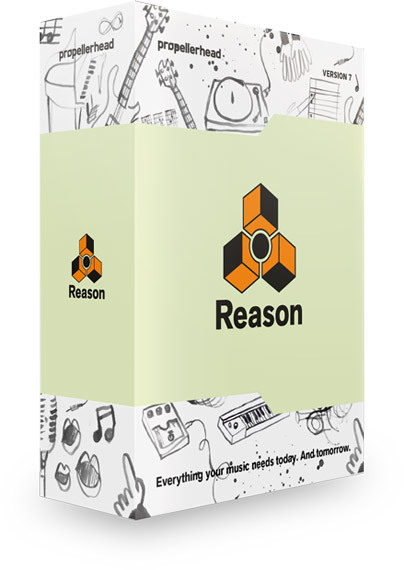 Reason 7, General Sequencer from PropellerHead in the Reason series. Product replaced by the PropellerHead Reason 10. The new version of Reason, code name 7, has arrived including, as always, a bunch of new features. These new features give the software some sort of completeness — 13 years after its first release? Let's rewind a bit: at the turn of the 20th century, Propellerhead was already responsible for ReCycle (1994), the only software capable of creating files in Rex format (we'll come back to this later), Rebirth RB-338 (1997), with emulations of the mythical TB-303 and TR-808 (and which profited from a big marketing push when Roland asked them to include the following phrase on the packaging and the info window: "Rebirth RB-338 was inspired by the TR-808 and TB-303, originally created by Roland Corporation. 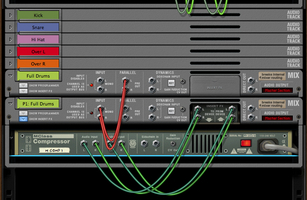 Their unique sounds and visual images have been re-born through digital simulation by Propellerhead Software. 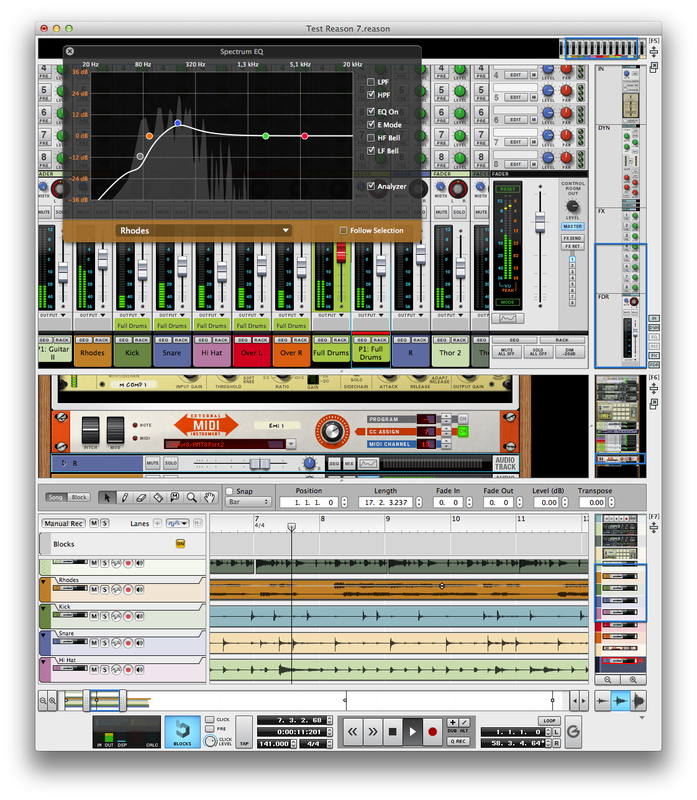 "), and of ReWire (1998), developed in collaboration with Steinberg (who had already been involved in the launching of ReCycle) to allow communication between Cubase and the RB-338 software. A year later, ReWire would be open to any developers wishing to integrate it and without being subject to any type of licensing, something very rare within the music software industry (just as a reminder, it is often believed that commercializing mp3 files can only be free. But take some time to (re)read the fine print...). Every time there's a new version, the software grows richer and opens up to the outside world. Just consider the additional modules introduced: Malström and NN-XT for version 2; RV7000, BV512, Scream 4, Spider Audio, and CV for version 2.5; MClass Mastering Suite, Combinator for version 3; a new Hardware Device, Thor, ReGrooveMixer, RPG-8 for version 4; Dr OctoRex and Kong for version 5; Pulveriser, the Echo, ID-8, Alligator, and Neptune for version 6. The design and functional improvements are also quite numerous. You can find all the details and previous tests on the dedicated page on AudioFanzine. The most important and recent evolutions are the inclusion of Record, which turns Reason into a true DAW (version 6, with authorization via Ignition Key, marks the arrival of 64 bits), and the creation of Rack Extensions, which allows developers to port their effects and virtual instruments to a proprietary format (version 6.5). And now version 7 adds, among other things, the last and long sought-after feature, after the ability to record audio (if we were to consider the Rack Extensions as an integration of VST or AU plug-ins, which can be discussed). The software is sold in a box or it can be directly downloaded from the publisher's web site (for around 400 euros, depending on where you buy it). There are also different upgrade options: from Reason Essentials + Balance, regardless of the Reason version (129 euros), or from the Adapted, Limited or Essentials versions (299 euros). At the same time, note that Reason Essentials has a new version 2, free for all its users. The download time will vary depending on your Internet connection speed, the file is 3.9 Gb big. Heads up: this version is only compatible with Windows 7 and OS 10.7 (or higher in both cases). As usual, we unzip the file, move it to the Applications folder and we're done. Or almost, because before launching the software for the first time we have to install a new authorization extension (CodeMeter). And that's because the publisher offers us now a new possibility to authorize the host computer directly, bringing the number of licenses from one single license to three: the computer, the Ignition key and a Balance interface. And let's not forget the possibility to use the Demo mode (no possibility to open a saved file, export audio or do bounces, plus no access to RE) or to authorize the software over the Internet (ID and password required). It is a real luxury, as it frees up a USB port and resolves any Internet connection problems when traveling. And if that weren't enough, the Rack Extensions duly purchased are also authorized after updating (use the Sync All function). The only thing you cannot authorize this way are the RE because they require Internet access. Would it be too much to ask a final effort in this regard, Mr. Prop? Another thing, since you won't be thinking about USB keys anymore, be sure to open only one Reason at a time: while checking something on the laptop and the desktop it didn't occur to me to close one before opening the other. The immediate consequence: a nice e-mail from Propellerhead stating they detected "a potential misuse of my authorization license" and warning me to be more careful because my account will be blocked if this repeats three times. This shouldn't stop us from acknowledging the efforts of the publisher, who is perhaps the most generous in terms of software authorization management options. First of all, besides the new modules and workflow enhancements the new features are something to really look into when we are talking about Propellerhead, since each new version brings a bunch with itself and every time we wonder how we ever managed to do without them. 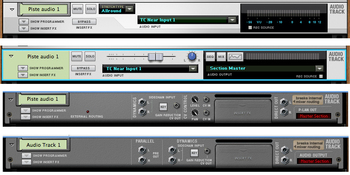 The racks for audio tracks and virtual instruments feature by default a mini volume fader and a pan pot, which avoids us having to go back to the mixer for these very frequent operations. Do note however, the disappearance of the stretch type selection option, something we'll come back to later. 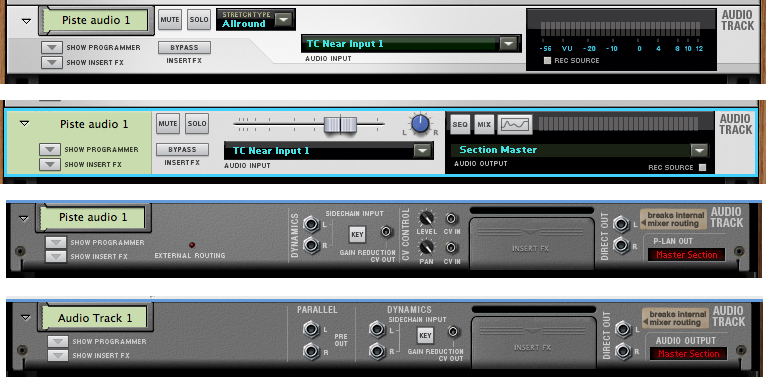 Also new are the Seq and Mix buttons (that refer us to the sequencer or console display, respectively), a button with a curve that opens the new EQ/analyzer (see box), and a drop-down menu that gives us the choice of routing the track to the Master section or to one of the buses. Yes, another new feature: we have the possibility to create output buses that allow us to create sub-groups very easily (which was already possible but following some more or less complicated routines). Ideal for drums, instrument sections, vocals, etc., as well as for the reduction/bouncing of a group of tracks to another. They are easily recognizable: their fader is red and the frame of the fader and VU-meter take on the same color as the tracks assigned to it. And that's not all: when we switch to the rear panel, we discover two new outputs named Parallel. We suspect that they allow us to route the signal to another channel where we can insert a reverb, delay, compressor, etc. This gives us complete independence from the original signal's treatment and is like having the equivalent of an effects bus, where we can also equalize, retouch and mix more accurately the aforementioned effect. 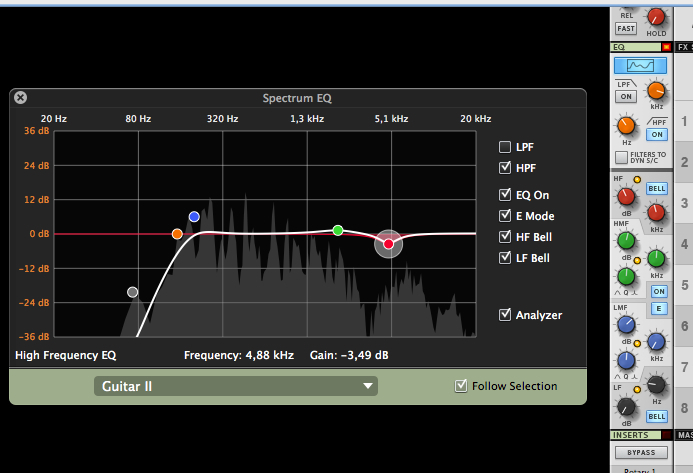 This is certainly not limited to the tracks, because we also have this function on the new output bus! Hooray! Obviously, all the Solo, Mute and Send functions react intelligently to the configurations created this way. With version 7 another of the great criticisms of Reason takes a shift: the absence of MIDI communication with the outside world. Indeed, the software now includes a module named External Midi Instrument. It allows the communication with all your external gear and — sit tight — with a few tricks (and some inconveniences) with the standalone versions of most of the different virtual synths on the market. Propellerhead doesn't mention it, but it seems impossible that they didn't foresee for such an eventuality, given the possibilities that IAC, JackOSX, Soundflower and similar software programs have to offer. Let's take on this module. We choose the port of the MIDI interface connected to the synth or to the target MIDI hardware module, the channel, any program changes, and the assignment of a MIDI CC to the big rotary knob (which can be automated within Reason via a dedicated Lane). We record a MIDI part (it is advisable to put the keyboard to MIDI Local Off if it is the same for playing and playback) or use an existing MIDI file and... it works! We can obviously control virtual instruments located on another unit as well. 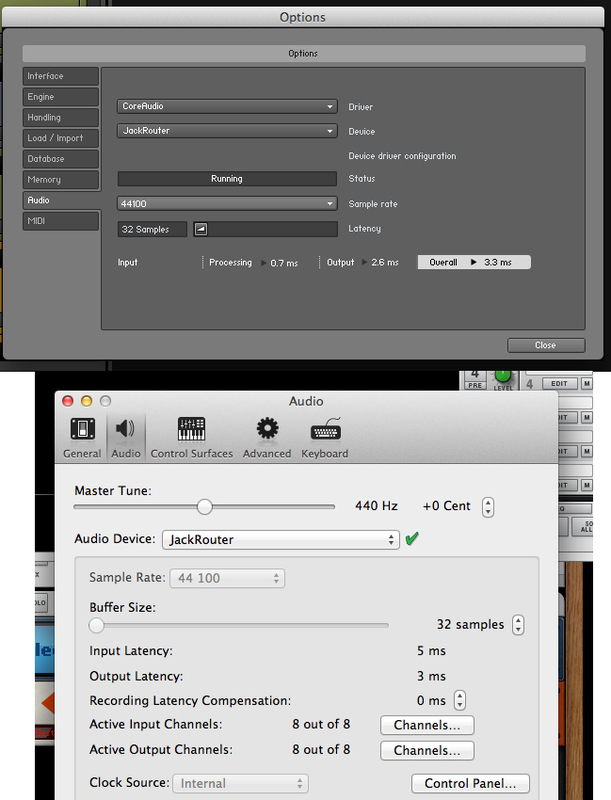 It works very good, the latency is almost inaudible and the two worlds — hardware and software — are thick as thieves. We only have to route the inputs of the hardware to an audio track in Reason, if we want to have the audio, and that's where it gets complicated... The recording poses no problem, of course. However it does bring out an obvious problem: the latency. There are several solutions: if you are a good keyboard player you can compensate it by playing a little bit ahead of the beat. If that's not the case (or if you are using existing files) you will have to adjust by hand or use the latency compensation option in the software preferences (see the Recording Latency Compensation section in the .pdf manual under Documentation). This latency depends on the possibilities of your sound card and the sampling rate (remember that the higher it is, the lower the latency). For example, one of the tests gave us a latency of about 10 ms (445 samples) between a MIDI file playing an instrument in an ID-8 and the same MIDI file playing the SY99 from the studio (via an Emagic Unitor 8 MkII), recorded at 44.1 kHz using the SK48 with a buffer of 64 samples in Reason. Another possibility is to recover the audio of the standalone virtual instruments within the same computer. In this case you'll need a routing software (we used JackOSX) to route the synth outputs to the Reason inputs, and you'll have to select IAC in the External Midi Instrument and the target synth. This works perfectly fine, at the price of some (very small) latency. One of the tests, following the same procedure as above, but with the buffer of the JackRouter set to 32 samples, gave us a latency of only 5 ms, using Kontakt 5 with the buffer set to 32 samples as well. Fairly decent (it's the same latency of the actual Prophet 5). And we can always adjust the recording by hand if needed. 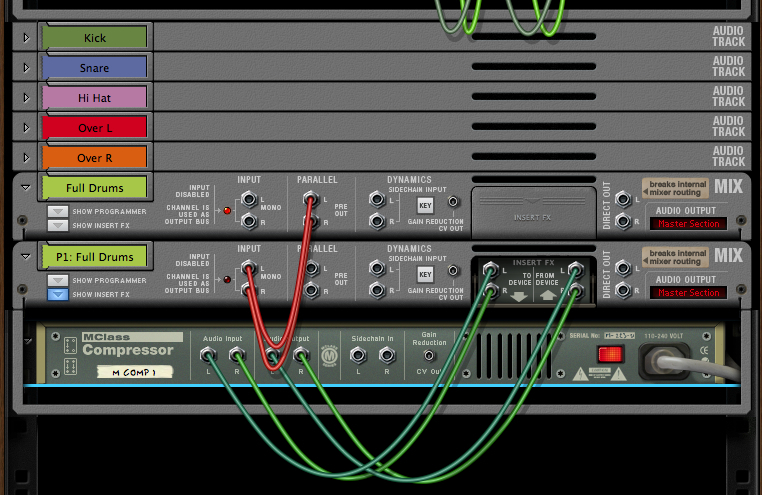 As if all that wasn't enough, Propellerhead added another module: the Audiomatic Retro Transformer. Which, after several minutes looking for it under all Reason 7 menus, we discovered that it is a RE that needs to be downloaded to the user's account. 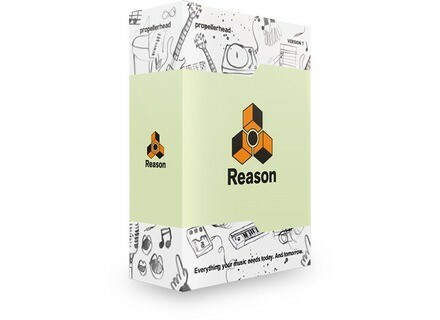 The reason being that it is also available to all users of Reason 6.5 and Reason Essentials as a separate purchase... and thus it is excluded from the modules that can be used unconditionally (see above). A somewhat incomprehensible decision for people who choose Reason 7. In short. It offers 16 sound "snapshots" (impulse responses, we believe...) of different playback media, from classic to not-so-commons ones. There are several knobs available to tweak the sound: input Gain, Dry/Wet, output Volume and Transform (effect intensity), as well as two CV inputs to control the Transform and Dry/Wet blend. Not everything is great, but there is enough to have fun, even if we can get more versatile and sometimes more effective results with filters, distortion and modulation. Here you have a couple of examples, starting with the unprocessed version. Another contribution — and a quality choice indeed — is the quasi-integration of ReCycle in Reason. As we already saw, the Stretch menu disappeared from the audio track devices on the rack, and for a good reason: it was replaced by ReCycle's slicing system (even if the former is still present in a way when time-shifting audio). 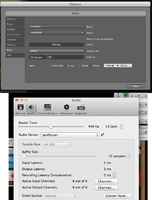 The markers are placed automatically when importing or recording an audio file (they can be deactivated afterwards, and by file, no less). Without having all the sophistication of Recycle, we can manipulate the markers, create, quantify, stretch, transpose, etc., and even export the processed files to Rx2 format to import them into Dr. OctoRex, for example (where they can be found along the samples included in the bin), and even export the Rx2 file! So we can create such files without having ReCycle, which is a great debut (without all the sophistication and functionality, obviously...). But there is a small inconvenience: Dr OctoRex has a limit when it comes to the length of the files: from a 90-second song converted to Rx2, it can only import 16 seconds, which corresponds to the limit of 99 slices, apparently still in place. However, we can import a file with several hundred slices/markers in an audio track. Here are several examples of time stretching and transposing on one of the previous files (we must indicate that the changes are made quickly, with short computation times). We cannot cover all the little details that are present in this new version. But the least we can say is that Propellerhead really knocked themselves out on this one. And again we would be tempted to say — as with every new version — that it is a breakthrough, in terms of design, sound and functionality. And all that without compromising in any way the legendary stability of the software. What are the weaknesses of this version? If we consider what its contributions are, nothing. It would be really unfair not to salute the opening to the outside world, the integration of ReCycle (with activation/deactivation per file! ), the bus, the EQ/Spectrum, the parallel tracks, the local authorization, etc. The drawbacks are the same that have been present for a long time, but in accordance with the company's logic, they might be addressed in future updates. It is true that we wish we had better audio and MIDI editors, for example. Or why not incorporate video management (even if ReWire is better suited to that task)?